Hi dolls, no color day today as we're busy prepping our list for the 12 Days of Christmas which will start next week. Instead, here's a post for your holiday party planning. Tis the season to feed your family, friends and loved ones. For some, creating a festive environment starts at the table. From glassware to serving platters to napkins and place mats, a festive table setting can really dress a room up. We're big fans of mixing and matching, so combine shapes with patterns and old with new for a fun, eclectic, and memorable look. Remember to ENTER TO WIN a prize during the 12 Days of Christmas. Simply comment on a post, like us on FB, or comment on our face book wall to be entered. You may comment as many times as you like to increase your odds of winning, but you will only be able to win once. Tell your friends to like us too! We've got some really great prizes this year and we are just itching to share them with you. All of those things are pretty cute, but the reindeer is kind of calling my name. 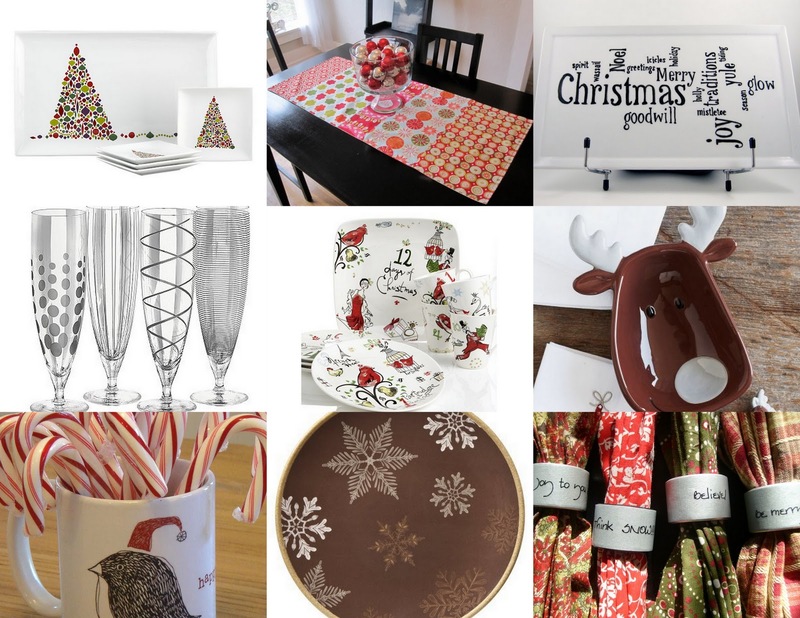 I love the Cracker Barrel and Sarah Snyder platters...and the penguin mug...and the reindeer bowl...I may have a problem. I would recommend you to come up with posts a bit a lot more often.